Plot - It's a story of twins and all the trouble which they face being twins. A young Japanese clock repairman named Ah Liang meet Ruo Lan, who has an identical twin sister Ru Mei who are almost identical. Since Ruo Lan and Ru Mei are kids, they interchange their roles just like a game. Know after growing up they face many problem being identical, and Ruo Lan tells Ah Liang about her breakup and tells him all the troubles being a twins. 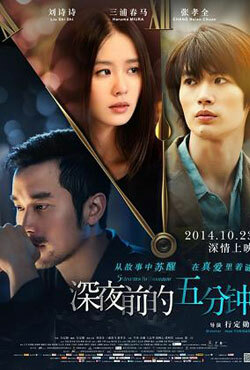 Awards & Nominations Won by "Five Minutes To Tomorrow Movie"
Box Office Earning of "Five Minutes To Tomorrow"